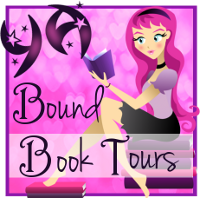 YA Bound Book Tours: Blog Tour Kick-Off: Keeper of the Lost Souls by Kristy Centeno! Blog Tour Kick-Off: Keeper of the Lost Souls by Kristy Centeno! Bryn McCaskey is young, naïve, and can talk to ghosts. Like her mother and grandmother, Bryn is part of a breed of witches called The Keepers of the Lost Souls, whose main purpose is to guard those spirits which are permanently or temporarily grounded in the world of the living. Because Bryn is a witch, she’s fairly comfortable dealing with all sorts of threats, which she does with ease and confidence. Handling supernatural creatures is as easy to her as baking a pie. Dealing with people however, is something she is yet to learn how to handle. Unfortunately, as her 18th birthday approaches, and the time for her to take on her first assignment finally arrives, Bryn is forced to confront her inability to communicate with others in an effort to save the one soul that can mean the difference between life and death for mankind. Johnny Shaw is a lost soul with a personal vendetta against witches. A vendetta he has carried on even after death. However, as much as he might hate them, in order to stop a century old threat, he must join forces with one. When fate brings them together, not only will they be forced to learn how to work as a team, but they will have to depend on each other to stop an evil witch carrying a six hundred year grudge. Book Blitz Kick-Off: All In by Marta Brown! Cover Reveal: Moiroi by Ruth Silver! Book Blitz Kick-Off: Spirit by Shauna Granger! Book Blitz Kick-Off: Endure by Laura Diamond! Cover Reveal: Take Me Now by Faith Sullivan! Blog Tour Kick-Off: Anomaly by Krista McGee! Book Blitz Kick-Off: Rush by Eve Silver! Book Blitz: Inseparable by Missy Johnson! Blog Tour Kick-Off: Untellable by Suzanne Lilly!